Scholarships are listed below in due date order for the benefit of the youth filling them out. The links on each scholarship can be the website address, a scholarship form, or contact information regarding a specific scholarship. If you are unable to access any of the below listed items, paper copies are available at the Green County UW-Extension office. Please call ahead at 608-328-9440. Equity Cooperative Livestock Sales Association is offering ten $1,000 college scholarships and two $750 technical college scholarships. Students must have completed two or more semesters at an accredited college or university, or any student who has completed one semester at a technical college. Applicants must have a cumulative grade point average of 3.0 or above, on a 4.0 scale. Complete the application online from the home page of the Equity website or contact Janice Schyvinck at 800-362-3989, ext 152. Application, transcript and letters of reference all due by November 26th. Applicant must have been a 4-H member; must be a high school senior or a college student; must have a sincere interest in the swine industry, and must meet other eligibility requirements specific to individual scholarship. Applicant must apply thru the Pecatonica Valley Turkey Trackers first with this application. 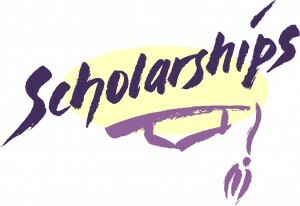 If the applicant wins there, the scholarship is forwarded to the State and even to Nationals if it keeps winning.Youth should actively participate in hunting sports; have a minimum GPA of 3.0; support the preservation of the hunting tradition; and meet other criteria listed in the scholarship application. Applicant must be a graduating senior who is pursuing their interest and studies in an ag-related field at a short course, technical/trade school, or University. Applicants must live or attend school in the 33 county area served by Badgerland Financial. See application for additional details. Applicant must be a graduating senior who is pursuing a two or four year degree in livestock production, crop production, or closely related field. Applications from dependents of employees or directors of Pearl City Elevator, Inc. are not eligible. See application for additional details. Pearl City Elevator, Inc is committed to the sponsorship of the Jim Vondra Memorial Scholarship. Jim was a highly personable and conscientious employee. His customers invariably became his friends, and their concerns also became his. To assist in this noble cause of higher education, and more so to honor the life and preserve the memory of Mr. Jim Vondra, Pearl City Elevator, Inc will award up to (3) three $500.00 scholarships to graduating seniors or previous graduates. See application for additional details. Applicant must be a high school senior who is enrolled or planning to enroll in any university, technical college, community college in the United States, and the University of Wisconsin-Madison Agricultural Short Course Program. Applicant must have a background in the beef, veal, or dairy industry and must be a resident of Wisconsin. See application for additional details. Applicant must have been enrolled in 4-H for at least three years. Applicants must be graduating from high school or graduating from 4-H to apply. If applying for the Jr. Leaders Scholarship, applicant must have been active in the Junior Leaders Organization for at least one year. Applicants must be enrolling in a 4-year college program, Vo-Tech, Short-Course, etc., any secondary education program. See application for additional details. Applicant must have been a 4-H member for at least one year; have a grade point average of at least 2.5 on a 4.0 scale, and be enrolled or planning to enroll at a university, college or technical school during the upcoming academic school year. Wisconsin 4-H Foundation scholarships are awarded to students based on demonstrated personal growth, development and leadership, academic performance and future educational goals. See Scholarships for additional details. Applicant must have been a 4-H member and enrolled in the Dairy Project for at least two years. Applicants can be in 10th-12th grade as of January 1st to apply for this award, which provides recognition to youth who have excelled in their dairy project. Applications are judged on the local level to recognize winners and then forwarded to the State. Fifteen top State winners will compete in interviews at the Wisconsin State Fair. See application for additional details. Applicant can be a third or fourth-year college student at one of Wisconsin’s four-year universities during the upcoming academic year and can apply for a $1,000 scholarship. Additional $1,000 scholarships will be awarded to high school seniors that will be first year college students in the upcoming year. Students studying in a two-year program are also encouraged to apply. Applicants will be evaluated on scholastic achievement, involvement, and leadership in ag-related activities, and career plans. Finalists will be interviewed in mid-April and recognized during the Wisconsin State Fair. See application for additional details. Applicant must be a graduating senior of a Green County High School, a relative of a Green County HCE member or a member of a Green County 4-H Club, FFA or FCCLA chapter. See application for additional details. Applicant must have a parent or guardian who is an active patron of Innovative Ag Services, having purchased production supplies from the cooperative or sold grain to the cooperative within the past year. Applicant must be a graduating high school senior who will be majoring in an agricultural related field of study. See application for additional details. Green County Master Gardeners Association (GCMGA) will present scholarships to qualifying youth who are enrolled in secondary education in a horticulture related field of study. Applicants may attend a four-year university or a Technical College. Up to $1,000 will be distributed annual. Applicant must be a graduate of a Green County area High School or a Green County resident continuing their education. Applicant must be a senior in high school and have enrolled in either a 4-year college or vocation school. Applicant must reside in a Green County Ag Chest participating community. All majors of study will be considered, but preference may be given to majors in related agriculture fields. See application for additional details. Applicant must be between the ages of 17-19 as of January 1st of the current year. Individuals must be a current or past junior livestock exhibitor who has exhibited beef, sheep, and/or swine at the Wisconsin State Fair. Applicants must pursue a post high school education and be enrolled or planning to enroll in a University, Vocational/Technical School or University short course. See application for additional details. Application is designed for anyone pursuing a higher education. Scholarship ($1,500) will be awarded based on academic achievement, financial impact, and an essay entitled “What is E15 and why is it important to farmers and consumers?”. Visit the website for more information. Applicant must be an active member of 4-H or FFA in the Dairy Project in Green County. Approximately $2,000 will be distributed annually at the discretion of the Green County Dairy Youth Recognition Auction Committee. See application for additional details. Applicant must be a Green County resident who is attending or planning to attend a College, Technical School, Vocational School, Short Course, or any other institute of higher learning. Applications must be submitted with 3 references. See application for additional details. Applicant must be a Green County 4-H or FFA member, or resident of Green County. Applicant must be planning to attend a College, Vocational School, Technical School, Agriculture Short Course, or any institution of higher learning. Selection will be based on your involvement with the beef industry and service to the Green County Beef Producers organization. See application for additional details. Applicant must reside in a Green County Ag Chest participating community and attend college in pursuit of an education in one of the following fields: Agriculture, Foods, Nutrition, or Health. Applicants must have completed one year of college and be enrolled for the following semester. See application for additional details.